It’s Mother’s Day on the 31st March; Here are some idea’s to help you spoil your special Mum; A night at Huxtable Farm B&B, welcomed with a Devon cream tea then in the morning enjoy a delicious Mothers Day breakfast next to the crackling log fire in the medieval dining room. Have afternoon tea at RHS Rosemoor Gardens having visited the RHS Spring Flower Competition. 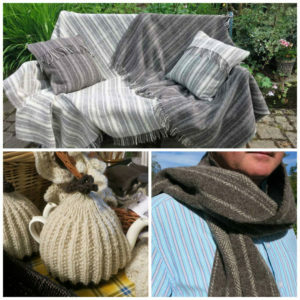 Buy a gift from Huxtable Farm B&B’s Jacob wool shop; 100% Jacob wool throws, cushions, scarves, yarn and knitting kits. 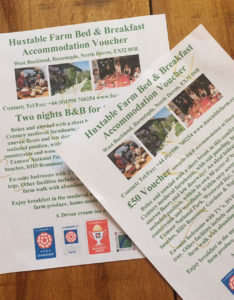 Give your mother a Voucher to stay at Huxtable Farm B&B at sometime later this year, telephone 01598 760254 or e-mail for more details. To help you enjoy what’s going on in North Devon during March, Huxtable Farm B&B has a special offer, of a Luxury Cream Tea on arrival for National #BandBWeek 18th – 24th March . We also have some SPECIAL DISCOUNTED RATES at Huxtable Farm B&B until 31st March 2019. 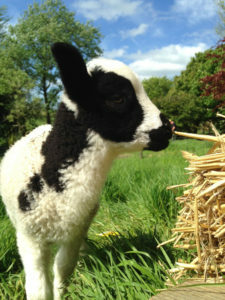 Lambing Live here at Huxtable Farm B&B – Our small flock of The Jacob ewes are due to produce lambs between the 1st April and Easter – Do come and enjoy this time of year with us when the hibernation period is coming to end and our stunning countryside is waking up. 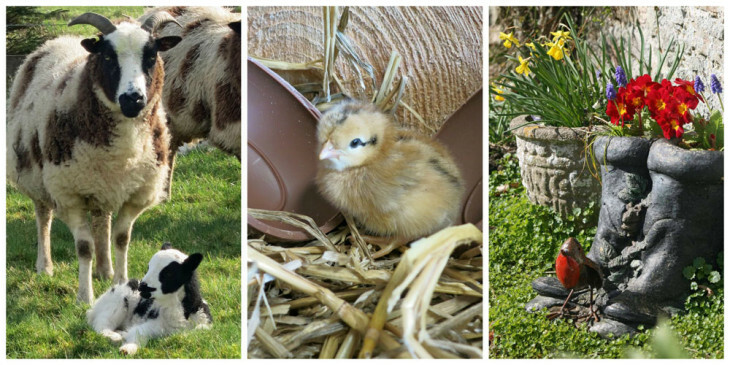 On Easter morning we also aim to have some chicks hatching, making your Easter stay at Huxtable Farm special. 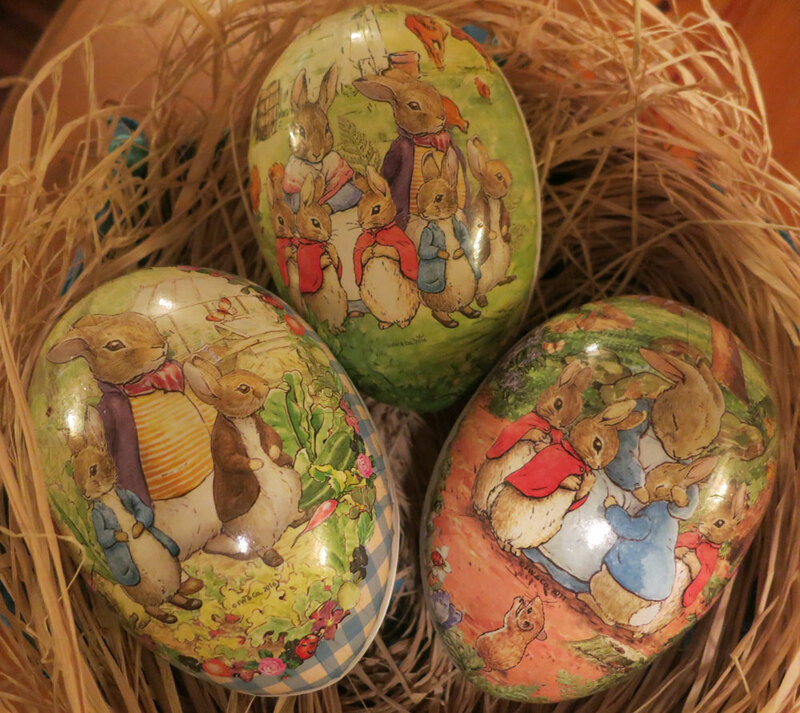 April – RHS Rosemoor – Easter crafts. Easter fun at National Trust Arlington Court & Cadburys Easter Eggs Hunt. Quince Honey Farm, The Big Sheep, The Milky Way, NT Arlington Court, RHS Rosemoor, Hartland Abbey and find the Easter chicks at Clovelly! Please also have a look at the fantastic variety of events due to take place in North Devon during 2019 by looking at Huxtable Farm B&B’s local Events/Farm Calendar so that you can plan your next stay to coincide with an event that interests you.